Welcome to the spring 2015 semester. We certainly hope that your friends and family are safe and unharmed after this week’s blizzard. We are pleased to share several opportunities for faculty, courses being taught this semester, and an exciting schedule of events at CLACS. The competition for Faculty Research Grants for summer 2015 and academic year 2015-16 is open. The deadline is February 17. The application this year is more streamlined, thus we encourage you to apply. More information can be found here. Also, applications are available for the Student Field and Research Grant. Those are awarded to Master’s and Doctoral students conducting fieldwork and research in Latin America and the Caribbean during this summer. The deadline for applying is February 23. For more details including an application checklist, follow this link. Our list of events include the Spring Colloquium series titled “Latin American Independence in the Age of Revolution.” It includes a roster of talks by leading academics on the field such as Sergio Serulnikov, Victor Goldgel, Marlene Daut, Madison Smartt Bell, and Michael Zeuske. CineCLACS movie screenings feature the Indocumentales series, in partnership with Cinema Tropical, the Quechua/Kichwa film showcase, and tonight’s presentation of “Quechua, the Fading Inca Language” as part of Quechua Night, among others. Other notable events include our kickoff event “The Cuban Moment: Conversatorio on Cuba.” Also, on April 9th, a presentation of Aisha Khan’s latest book Islam and the Americas, and a conference on May 8th titled “José Antonio Aponte and his World: Writing, Painting, and Making Freedom in the African Diaspora” co-sponsored with the departments of History and Art History. 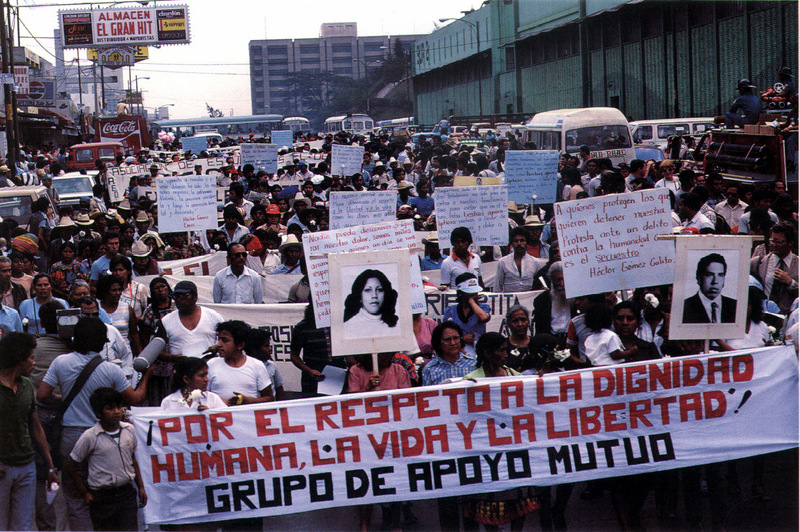 Our series of workshops and brown bag seminars will feature a presentation on “Science, Obea and religion in Trinidad” by Brent Crosson, and a workshop with famed photographer and author of Violentology: Manual of the Colombian Conflict, Stephen Ferry. Most of our events emerge from faculty-initiated projects or proposals. Have ideas for future events or projects that CLACS could support? Contact CLACS’s new Outreach Administrator Omar A. Dauhajre at omar.dauhajre@nyu.edu and share your thoughts. We are also very excited about our catalog of unique course offerings this semester. The colloquium, led by Professors Sinclair Thompson and Sibylle Fischer, and our seminars cover a wide array of topics that will prepare our students with a comprehensive view and exhaustive understanding of Latin America and the Caribbean. Those seminars include: Human Rights in Latin America by Professor Peter Lucas; The Color of Race in the Americas by Professor Aisha Khan; Government & Politics of Latin America by Professor Patricio Navia; Citizenships from Below (Latin America and the Caribbean) by Professor Edgardo Pérez Morales; Internship Seminar by Professor Pamela Calla; and Ethnographic Methods in Latin America and the Caribbean by Professor Katharine Smith. 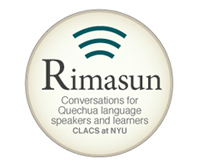 CLACS offers unique Quechua Language courses taught by Professor Odi Gonzalez. Quechua students learn the most widely spoken indigenous language in the americas, and learn about the culture, history and struggles of its native speakers. 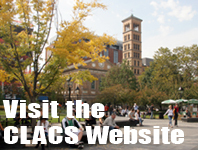 We wish you a wonderful semester and hope to see you at CLACS! This entry was posted in CLACS News, Events and Happenings, Quechua-Related Info, Related Articles. Bookmark the permalink.